Discover new techniques for engaging students with science. What is Science Camp for Teachers? It’s three days of workshops, collaboration, and outdoor fun for teachers who specialize in the science curriculum. Through guest speakers, hands-on workshops, group discussion (and, of course, hiking, exploring, and eating together) we will share ways to bring the science curriculum to life. Discover the intertidal life of the Gulf Islands, and get your feet wet with techniques for connecting students to the life on our shores. Walk the Millard Learning Centre’s Coastal Forest and learn how to engage your students’ senses with tactile forest activities. We have been doing innovative forest education for 30 years. Energize your lesson plans with original hands-on activities games and experiments involving solar, wind and hydro renewable energy technologies. Harvest plants for tea, and exchange teaching techniques for connecting students with people, plants, and pollinators. Galiano Conservancy Association is a non-profit organization with a mission to protect, steward and restore Galiano Island ecosystems by creating a network of natural areas where we provide opportunities to inspire a love of nature. We envision a future where ecosystem health and human health mutually support each other in the lands and waters of Galiano Island, inspiring sustainable living on the island and beyond. 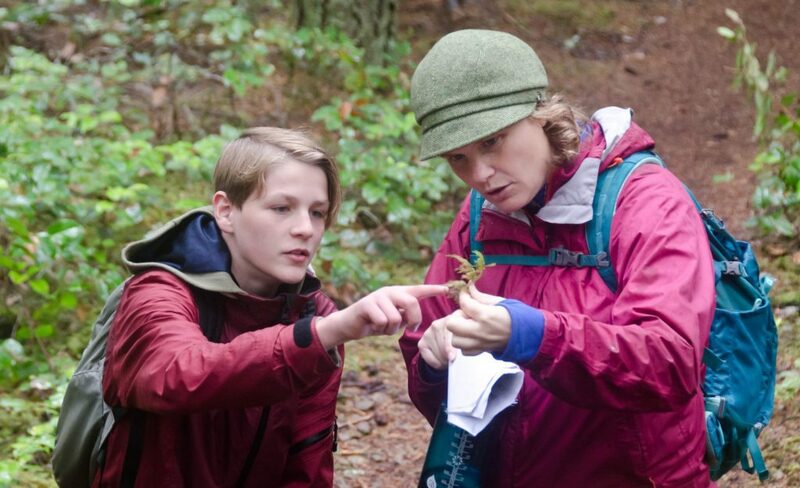 Science Camp for Teachers takes place at the Millard Learning Centre on Galiano Island. Galiano is located about halfway between Vancouver and Victoria in BC’s Southern Gulf Islands. Located on the southwest shore of Galiano Island, the Millard Learning Centre property is 188 acres and features over 2 kilometres of waterfront, two seasonal streams, wetlands, and over 80 acres of mature forest. It is adjacent to a protected area that features cormorant nesting cliffs and rare peregrine falcon habitat. We are easily accessible via BC Ferries, from either Tsawwassen (Vancouver) or Swartz Bay (Victoria.) If you’re bringing a car from the Vancouver side, you’ll want to reserve your spot on the ferry in advance. More details are here. Camping at the Millard Learning Centre is included. The campsite is tent-only (on well-defined tent pads), but has access to the Millard Learning Centre classroom building which has flush toilets, showers, and places to charge devices. If you require camping gear we can provide it for a small fee. If you would like to sleep off-site, Galiano Island has many other accommodations available. Meals will be simple and served buffet-style. Lunches will be sandwiches; dinners will be a barbecue or something similar. Let us know if you have dietary restrictions. Attendance is limited. Book your spot here. Questions? Drop us a note in the comment box below. Hi there, I have taught a variety of primary grades over the years but currently teach Kindergarten (French Immersion). I’m not worried about the French piece but is this amazing opportunity geared towards lower primary at all or is it more specifically for higher Science levels?